These supplementary cyclist's pages are for everyone who enjoys cycling around the south Stockport area, and especially those who attend the Stockport Council Cycle User Group meetings, which are freely open to all. New faces are always welcome. The Waters Corporation will be relocating their Mass Spectrometry HQ to the vacant business park in Wilmslow at Stamford Lodge on Altrincham Road (A538) and have lodged a planning application. It is important that the provision for cycling and walking is improved - if we miss this chance there will not be any more. Here are some key points: Approximately 450 employees (rising to 550 will relocate from existing Waters sites in Altrincham, Sale and Wythenshawe; many live in the Altrincham, Wythenshawe and Stockport areas. Currently approx 4.5% of staff cycle to work. An aborted development by Rok included £250K towards extension of the existing cycleway from where it ends (near Honey bee pub) into Wilmslow. This has been dropped from this new planning application. 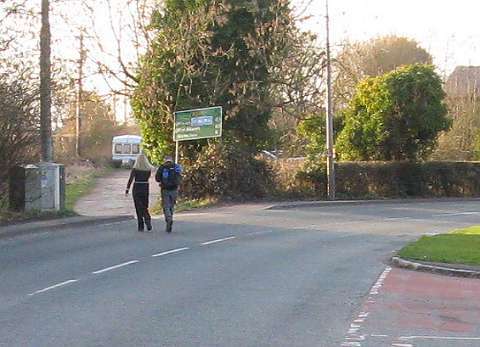 The only highway cycling infrastructure proposed appears to be a "toucan" (a pedestrian and cycle) crossing over A538/Altrincham Road near the junction with Mobberley Road. Mention is made of a new footpath (maybe shared-use with cycling but this is not specified) running from the development along the edge of Jim Evison playing fields to the toucan crossing. 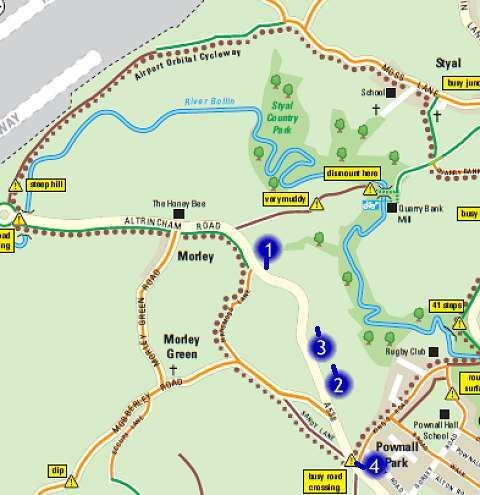 The Travel Plan and Transport assessment makes no reference to the nearby Airport Orbital Cycleway (NCN85) and Styal Orbital Cycle Route in their assessments. They only refer to NCN70 (Cheshire Cycleway) and The Middlewood Way! 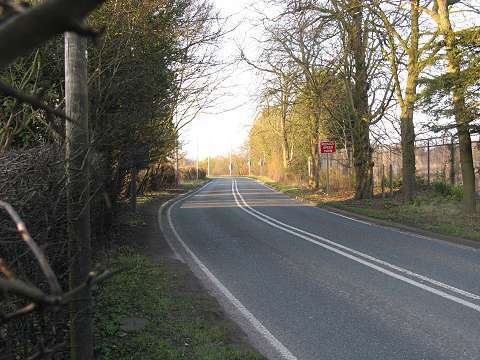 There have been 9 collisions on A538 in the vicinity of the proposed development between 2005 and 2010, including 1 fatality and 1 serious injury. We would also like to see new concessionary routes provided from A538 to National Trust Land to the rear of Stamford Lodge site. I note that there is no mention of this in the current planning application and would ask that this is revisited. Of the documents listed I suggest the Design and Access Statement (15 Feb) and Travel Plan (15 Feb) and Transport Statement (Page 14, 17 and 23 in particular) are most useful. Extension of the existing Cycleway/footway along the South side of A538 to continue in towards Wilmslow past Stamford Lodge and towards Greaves Road, as envisaged under the Rok development agreement. 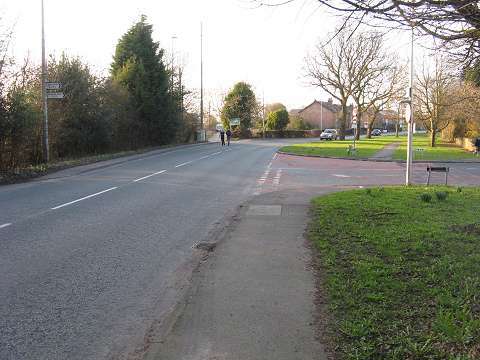 Include a crossing point for walkers/cyclists near the junction of A538 with with Kings Road. walking/cycling route round the edge of the site from A538 leading to National Trust Land (this could bypass the problematic and ill-maintained Restricted Byway RB22 that exists near the Honey Bee pub). Rob Sawyer of Cycle Wilmslow draws our attention to a proposed development in the Wilmslow area. We've taken the liberty of repeating his message on the left side of this page, and on Sunday 6 March we visited the area to take this pictures of the current situation. Numbers refer to the map at the bottom of the page. (1) Above, the place where the off-road cycleway which has been available all the way from the Airport and through the tunnels comes to end end, and cyclists are expected to turn right along the minor road. However, following this route by-passes the site of the development which lies around the bend in the distance. You can see why there have been accidents on this A538 road, which is narrow and has no footway. (2) I left my bike and walked along the verge to obtain this picture of boarded-up Stanford Lodge, former home of brewer Henry Boddington. I certainly wouldn't like to cycle this road as it stands. The development will occupy the land behind. 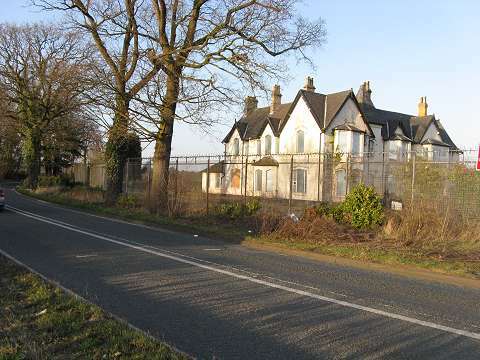 This is now proposed for demolition: a new home will have to be found for the bats which now live there! (3) A view a little further along the road, looking away from Wilmslow. The roundabout for entrance to the development will be somewhere in the middle distance. This was a Sunday: Imagine how busy this road would be with 400 people driving home from the Waters premises. 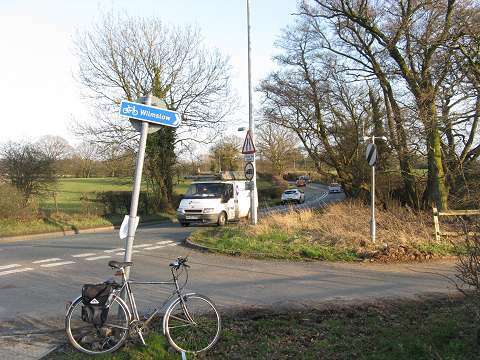 (4) This is the place, nearer to Wilmslow, where Kings Road, which forms part of the National Trust cycle route via Twinnies Bridge to Styal, emerges from the right, and across the road is the other end of the cycle route which by-passes Stamford Lodge - also part of the National Trust route. A wider angle of the same view. Getting across here with a bike, or indeed on foot, is very risky - a Toucan Crossing would indeed be a boon. This map is extracted from the Wilmslow Area Cycle Guide leaflet now available free as a PDF download, or on paper from Wilsmlow area libraries, bike shops, Wilmslow Leisure Centre and Wilmslow Information Centre.